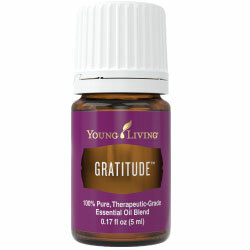 Therapeutic Grade Essential Oils are some of the highest frequency organic material that we have on the planet today. I am a firm believer that quality makes a very big difference, and have chosen Young Living's products to be those that are used by Spirit Source Connect. To read more about why I use essentials oils as a supporting tool for your transformation, click here. 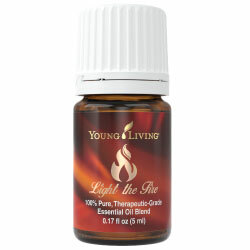 When I first heard of this oil blend "3 Wise Men", it was back in 1998 and I was exploring the original "Feelings Kit". That kit has gone through a few changes since then, but still a very powerful tool if you are looking to clear out old baggage that you don't want anymore. Gary Young specifically created this formula based on recipes that come from Ancient Egypt. They also had 3 day rituals to clear one of spiritual and emotional 'demons' or darker energy, and Gary chose to resurrect these exact oils and protocols that the Ancient Egyptians used, and put them all together in the Feelings Kit. Valor is the first oil used to give someone the strength and courage to resolve old issues and also to move forward with the Feelings Kit protocol. 3 Wise Men is the second oil used, and it is instructed to put a few drops at the top of the head, in the center at the location of what would be your 'crown chakra'. For more information about this, there will be instructions given when you purchase your Feelings Kit. This particular blend is specifically for the use of neutralizing DNA records that may be holding you back. If you want to work with me privately to address these issues and clear them, see my distance Energetic Transformation Sessions here. 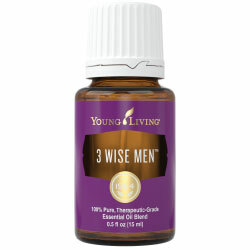 The 3 Wise Men™ blend contains Sandalwood, Frankincense, Myrrh, and other essential oils and is designed to promote feelings of reverence and spiritual awareness. A flowering herb with bright yellow tops, goldenrod (Solidago canadensis) comes from the Asteraceae botanical family. Its scientific name, Solidago, comes from the Latin word solidare, which means to strengthen. The plant is most often found in North America, but some species are found in Europe as well. It grows well in open areas such as meadows, prairies, savannas, and mountains, and you can find it at Young Living Whispering Springs Farm in Mona, Utah! Goldenrod essential oil is steam distilled from the flowers, leaves, and stems of the plant, and with the key constituent alpha-pinene, this essential oil has an array of benefits. Use it to support the appearance of healthy-looking skin and to create a calming and relaxing environment when diffused or inhaled. Sweet, fresh, and spicy, Young Living's Fulfill Your Destiny™ blend encompasses the complex and beautiful journey that leads to achieving your goals and highest potential. With nine carefully selected essential oils - Tangerine, Frankincense, Nutmeg, Cassia, Cardamom, Clary Sage, Black Pepper, Idaho Blue Spruce, and Neroli - this proprietary blend will help you create an atmosphere of focus and clarity no matter where your path to fulfilling your destiny takes you. Selected by D. Gary Young himself, Fulfill Your Destiny™ is the official blend of the 2017 International Grand Convention. Each oil in the formula plays an integral role in its aromatic and topical profile: Cassia, Frankincense, and Black Pepper essential oils are bold and empowering; Tangerine, Neroli, and Nutmeg engage your senses while adding a sweet element to the aroma; and Clary Sage, Idaho Blue Spruce, and Cardamom offer balancing notes of fresh herbaceousness. 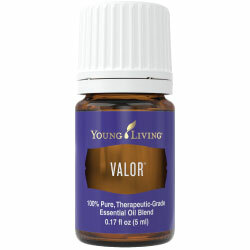 Valor® is an empowering combination of therapeutic-grade essential oils that works with both the physical and spiritual aspects of the body to increase feelings of strength, courage, and self-esteem in the face of adversity. Renowned for its strengthening qualities, Valor enhances an individual's internal resources. It has also been found to help energy alignment in the body. Ingredients: Caprylic/capric triglyceride, Ylang ylang flower oil, Rosewood wood oil, Northern Lights Black spruce leaf oil, Matricaria flower oil, Idaho blue spruce branch/leaf/wood oil, Frankincense oil, Vetiver root oil, Cistus oil, Bergamot peel oil, Cassia leaf oil, Davana flower oil. 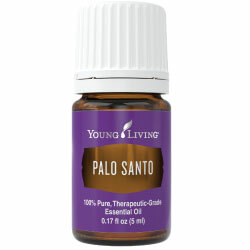 Palo Santo has an inspiring fragrance and can be diffused for a cleansing and refreshing atmosphere. It can also be used for massage after activity. It has been called the "South American equivalent to Frankincense oil". It can have the ability to heal unexplainably, past hurts and traumas, and relieve a person of heavy weights and blocks both physically, mentally, emotionally and spiritually. 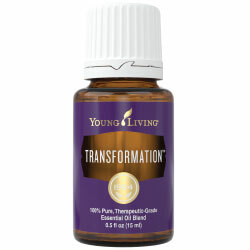 This is a very powerful spiritually healing oil. Sacred Mountain™ promotes feelings of strength, empowerment, grounding, and protection that are a result of being close to nature. This blend of conifer essential oils, including spruce, fir, and cedarwood, evokes the feelings of sanctity found in the mountains. Ingredients: Spruce, ylang ylang, Balsam fir and cedarwood. Ingredients: Lemon peel oil, Peppermint oil, Royal Hawaiian™ sandalwood wood oil, Clary oil, Sacred frankincense oil, Idaho blue spruce branch/leaf/wood oil, Cardamom seed oil, Ocotea leaf oil, Palo santo wood oil. Twelve Oils of Ancient Scripture? contains the twelve most significant oils found in the Bible. Young Living's wish in bringing them to you is that you will savor and enjoy the beautiful fragrances and intriguing histories of these precious pure essential oils. My wish to you that if you are a healer or transformer of energies of any type, you want to have this kit on hand to support you in some powerful work. 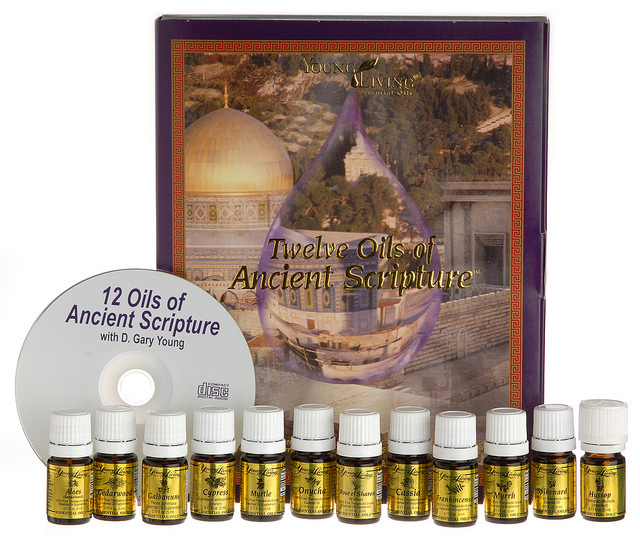 Gary Young draws on his travels to biblical lands and explains the twelve oils on an audio CD, also included in this collection. Contains: Twelve Single Oils (5ml bottles): Aloes/sandalwood, cassia, cedarwood, cypress, frankincense, galbanum, hyssop, myrrh, myrtle, onycha, a very thick oil, remove the plastic orifice and warm the bottle in your hand so that the oil will flow -- Styrax, Rose of Sharon/cistus, and spikenard. Frankincense (Boswellia carteri) has a sweet, warm, balsamic aroma that is stimulating and elevating to the mind. Useful for visualizing, improving one's spiritual connection, and centering, it has comforting properties that help focus the mind and overcome stress and despair. 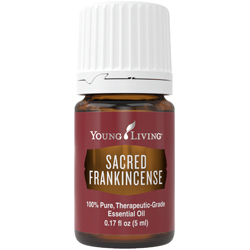 Frankincense is considered the holy anointing oil and has been used in religious ceremonies for thousands of years. Highest Potential™ is an exotic blend designed to increase your capacity to achieve your highest potential. It combines the uplifting and inspirational qualities of Australian Blue with the power of Gathering to help bring greater unity of purpose. Jasmine is added to enhance self-confidence, while ylang ylang calms, soothes, and harmonizes. Ingredients: Blue cypress wood oil, Ylang ylang flower oil, Jasmine oil, Cedarwood wood oil, Lavender oil, Galbanum resin oil, Geranium flower oil, Frankincense oil, Royal Hawaiian™ sandalwood wood oil, Blue tansy flower oil, White fir branch/leaf/wood oil, Black spruce leaf oil, Cinnamon bark oil, Rose flower oil. 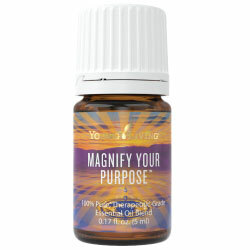 Magnify Your Purpose™ is a specially crafted blend of essential oils that stimulates creativity, desire, focus, and motivation. It helps foster a positive attitude, encouraging you to rise above adversity, seize the initiative, overcome procrastination and self-pity, and magnify your life's purpose. Ingredients: Royal Hawaiian™ sandalwood wood oil, Sage oil, Coriander seed oil, Patchouli oil, Nutmeg kernel oil, Bergamot peel oil (Furocoumarin free), Cinnamon bark oil, Ginger root oil, Ylang ylang flower oil, Geranium flower oil. White Angelica™ is a calming and soothing blend that encourages feelings of protection and security. It combines oils used during ancient times to enhance the body's aura, which brings about a sense of strength and endurance. Many people use it as protection against negative energy. White Angelica works great applied to the shoulders and should be regarded as an essential tool for healers and energy workers in protecting themselves while working. Ingredients: Bergamot, Geranium, Myrrh, Royal Hawaiian Sandalwood, Rosewood, Ylang Ylang, Black Spruce, Hyssop, Melissa and Rose in a base of almond oil. 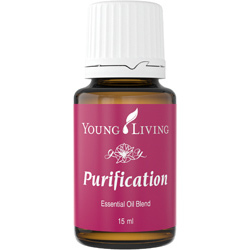 On a spiritual level, Purification® can be used to cleanse and purify a room or environment in need of clearing. Purification is more powerful than saging and can be used to clear negative emotions remaining in a space. Use sparingly and only as necessary. Ingredients: Citronella oil, Rosemary leaf oil, Lemongrass oil, Tea tree leaf oil, Lavandin oil, Myrtle oil. Ingredients: Idaho balsam fir oil, Frankincense resin oil, Coriander seed oil, Myrrh resin oil, Ylang ylang flower oil, Galbanum resin oil, Furanocoumarin-free bergamot peel oil, Geranium flower oil. Ingredients: Spruce, Geranium, Orange, Lavender, Sage, and Rose. Gathering™ helps overcome the chaotic energy that bombards our everyday life and clouds our focus, thus diverting us from the path leading to higher achievement. 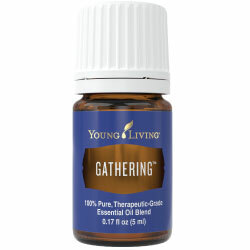 Gathering combines galbanum and frankincense oils from resins used by Moses for incense with sandalwood to help gather our emotional and spiritual forces so we can achieve greater unity of purpose. Ingredients: Lavender oil, Geranium flower oil, Galbanum resin oil, Frankincense oil, Royal Hawaiian™ sandalwood wood oil, Ylang ylang flower oil, Black spruce leaf oil, Cinnamon bark oil, Rose flower oil.